Those interested in brand names and designer labels will find everything they’re looking for on the very popular “Zeil” shopping promenade. 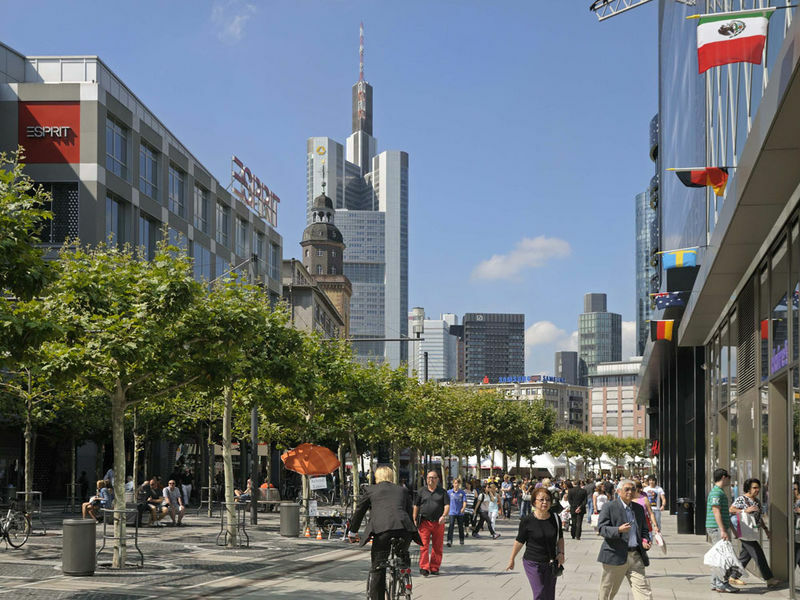 Be it clothing or footwear, jewellery or consumer electronics, here at the “Zeil”, shoppers are guaranteed to have all of their retail requirements fulfilled. The Zeil is a flat-paved pedestrian zone, while Konstablerwache is partially cobblestoned and situated on a platform (several steps). Two ramps are available (next to the entrance to the subway and commuter train stations when coming from the pedestrian zone, and centrally situated when coming from the tram stop). Nearest public toilets for handicapped persons: Hauptwache (Level B, subway station).